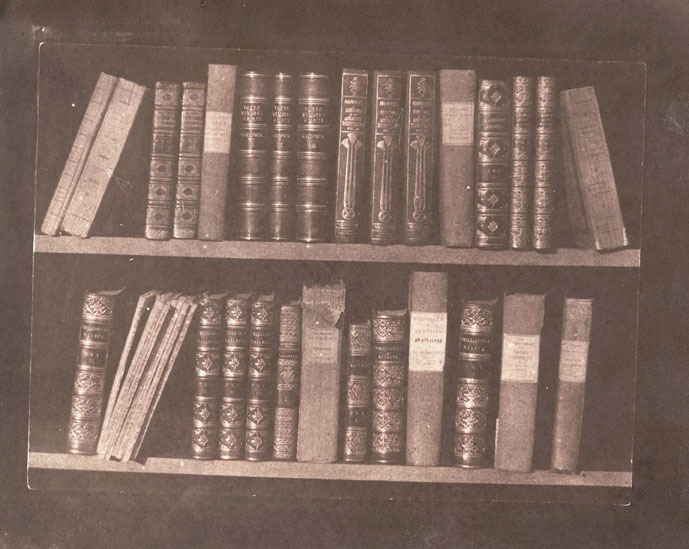 As part of the methodology option ‘History of the Book’ for the Masters in Enlightenment course, students were asked to present some part of their research on a blog. 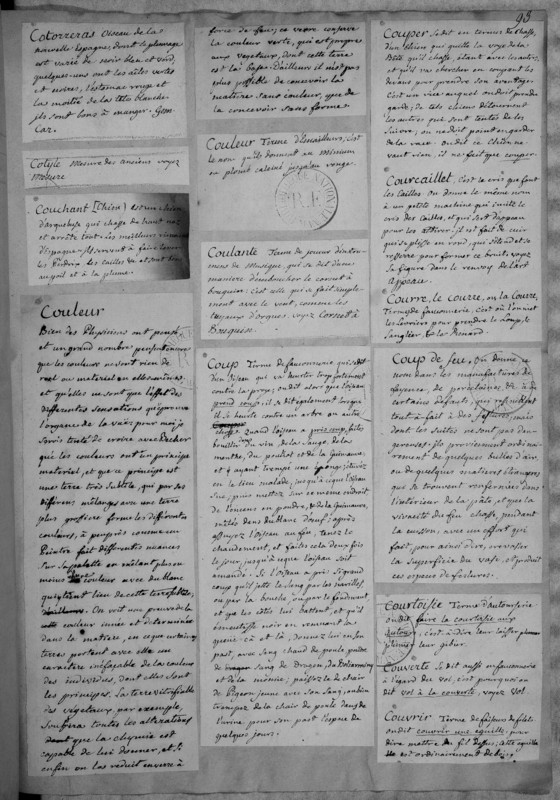 We felt that student Thea Goldring’s research project concerning the Encyclopédie planches would be of interest to the readers of the Voltaire Foundation’s collaborative blog. Thea is going on to Harvard to start a PhD in Art History this autumn. As scholars increasingly recognize the didactic function of the Encyclopédie’s planches and recast the texts and their images as a single working whole, it is important to acknowledge the problematic nature of these images. In the face of growing acceptance of the planches as visual arguments, this post seeks to recover some of the epistemological knots that entangle such readings. 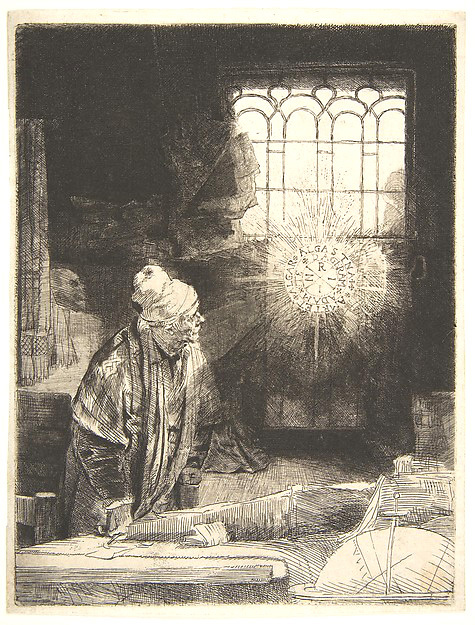 When the planches were completed in 1772, Diderot’s originally envisioned 1000 illustrations had grown to 2,569 engravings filling eleven volumes. 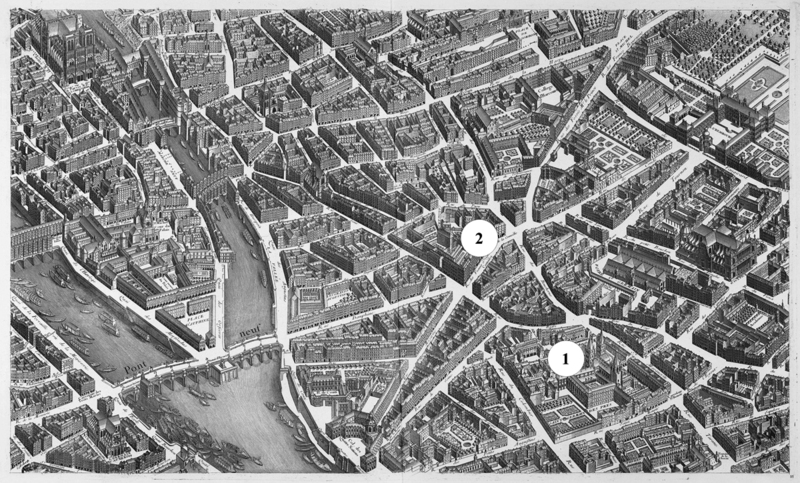 Across this sprawl, Diderot’s hand is clearly discernable in the systemization of the planches’s spatial arrangements. The planches fall into three categories: plates that establish a unified pictorial space across an entire page (Fig.1); plates that contain multiple pictorial spaces divided by clear framing, normally with a vignette/tableau above and a ‘blank’ or ‘schematic’ space below (Fig.2); and plates in which a ‘blank space,’ containing undefined and unrelated pictorial areas, extends over an entire page (Fig.3). The planches adopt a system in which certain spaces (the three-dimensional vignettes) maintain consistent perspective, scale, and modelling, while others (the schematic spaces) vary these qualities for didactic ends. By embracing multiple pictorial fields, the plates may use perspective and/or modelling but also clarify any didactic confusion resulting from these pictorial effects in the schematic areas, and also provide detailed views of the parts, while simultaneously displaying these parts as a working whole in the vignettes. However, the disparity between the coherent pictorial effects in the vignettes and their relative confusion in the schematic areas complicates a viewer’s didactic use of the images. The inconsistencies in light effects between the tableaux and schematic spaces that pervade the planches are especially problematic. For example, upper vignettes often depict enclosed rooms which are always filled with directional light that floods in from prominent windows. In contrast, the cast shadows in the schematic areas, if present at all, seem to emanate from the objects themselves. There is never a clear light source, for, while the cast shadows may consistently point in one direction, there is no variation in length or strength to indicate an actual point of origin. The divergent use of shadows between the two pictorial spaces creates severe visual inconsistencies between them, which in turn confuse the relationship between the information communicated by each. Shadows may seem like a very insubstantial detail to focus on. However, at the time these visual markers were at the center of epistemological debates such as the Molyneux problem, which considered how shadows communicate weight and volume. In simplest terms, the Molyneux problem asked whether seeing the shadows on a sphere or cube provides enough information to communicate a sense of three-dimensionality without having previously associated certain patterns of shadows with volume through touch. The confusion of information offered by the juxtaposed tableaux and schematic spaces primarily concerns the haptic sense. Touch is an integral part of the tableaux spaces, and the vignettes often depict people manipulating objects. In contrast in the ‘blank spaces’, the haptic interactions represented above lose their meaning. The viewer can no longer pick up the tools because they are not sitting on a surface, cannot pull down on a bucket hanging by a rope because it has no tension, cannot wield any of the hammers because the hammer head is no heavier than its shaft. The haptic expectations and interactions established by the upper tableaux are unfailingly refuted by the inconsistent or absent pictorial signifiers in the schematic areas. In the eighteenth century such a confusion of haptic information was no small matter. 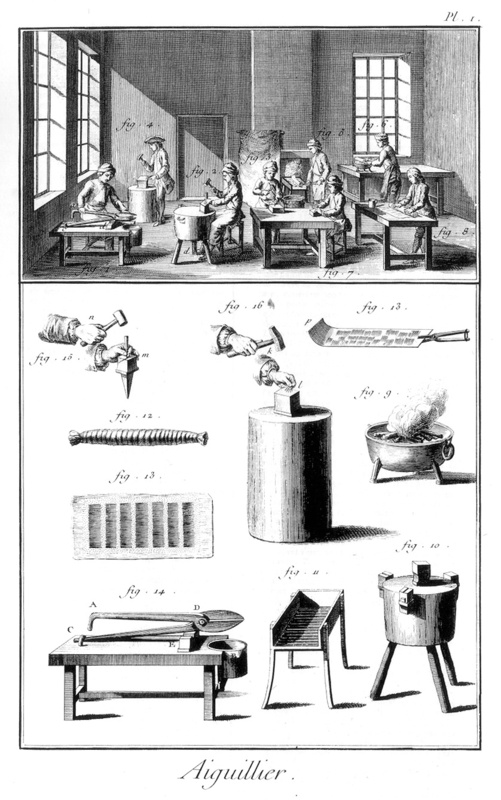 For Condillac, in his Traité des sensations (1754), touch both affirms the existence of the exterior world and also ‘apprend aux autres sens à juger des objets extérieurs’. Touch, not sight, provides understanding about exterior reality. 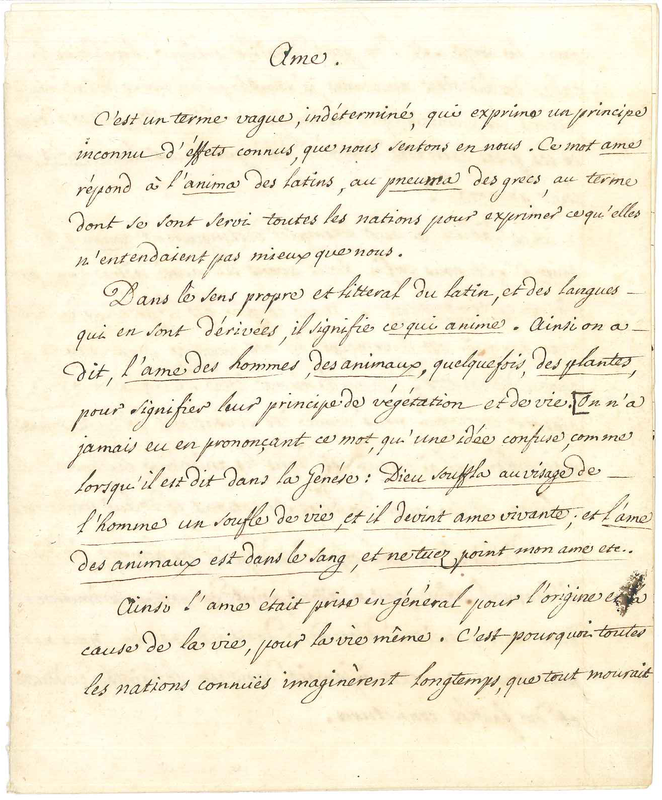 As Kate Tunstall’s analysis of Lettre sur les aveugles and its Addition demonstrates, Diderot also assigned primacy to touch not sight. 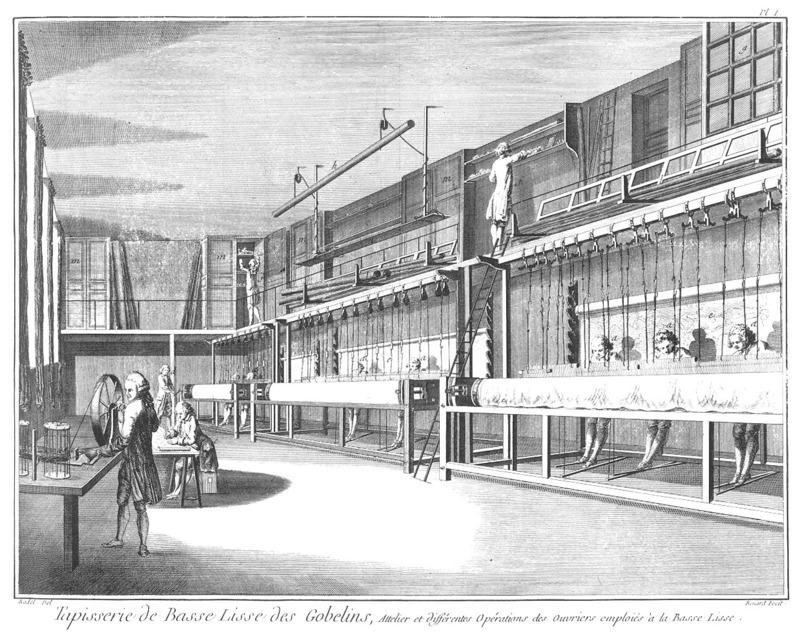 A consideration of touch is certainly present in Diderot’s Encyclopédie ‘Prospectus’: ‘Il a donc fallu plusieurs fois se procurer les machines, les construire, mettre la main à l’œuvre […] et faire soi-même de mauvais ouvrages pour apprendre aux autres comment on en fait de bons’. Diderot had to interact with objects manually to understand them, the exact experience that the schematic areas of the planches deny. 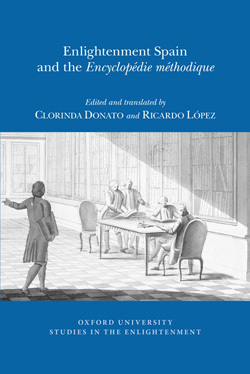 If Diderot, like many of his fellow philosophes, subscribed to the view that haptic experiences are necessary to comprehend the exterior world, how can didactic function of the plates, which offer either no or inconsistent haptic markers, survive? Dividing the images into two spaces, one of which had no cohesive pictorial space and the other of which describes with consistent pictorial effects such as modelling, introduced a fissure into the planches. In light of the philosophical context, these distinct parts of the plates present irreconcilably different types of information. While viewers could understand and relate their experience to objects depicted in the tableau, those in the schematic space were out of reach and unknowable. Given this split, how then is one to understand the didactic usefulness of the planches? 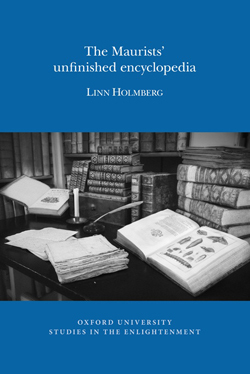 If singular planches undermine their own epistemological value, one might look for a unified didactic argument in the illustrations in their multitude and it is in the interconnections between plates that perhaps scholars should direct their attention. Madeleine Pinault-Sørensen, L’Encyclopédie (Paris: Presses universitaires de France, 1993), p. 72. Laura Berchielli, ‘Color, space and figure in Locke: an interpretation of the Molyneux problem,’ Journal of the history of philosophy xl, i (2002), p.47-65. Joanna Stalnaker, The Unfinished Enlightenment. Description in the Age of the encyclopedia (Ithaca, Cornell University Press, 2010), p.61. Etienne Bonnot de Condillac, Œuvres complètes de Condillac: Traité des sensations iv (Paris, Dufart, 1803), p.11. Jessica Riskin, Science in the Age of Sensibility: the sentimental empiricists of the French Enlightenment (Chicago, University of Chicago Press, 2002), p.43. Kate E. Tunstall, Blindness and Enlightenment: an essay (New York, Continuum, 2011). 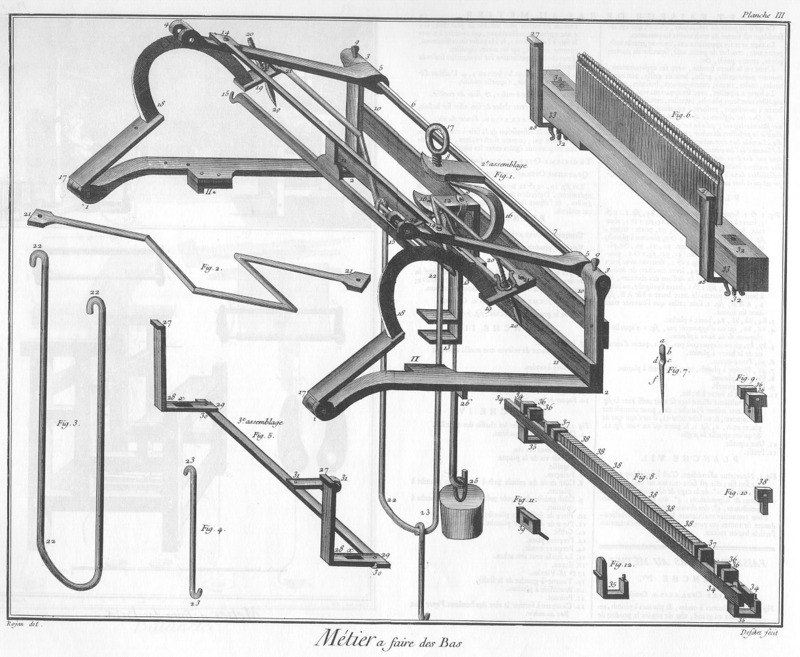 ‘Prospectus,’ in Encyclopédie (emphasis mine).